Spoon and Bake Cookies are so easy to make that my children made most of them. Why Choose Celebrate the Season? This year, get ready for spring with the Celebrate Fall fundraiser by The Goodies Factory. 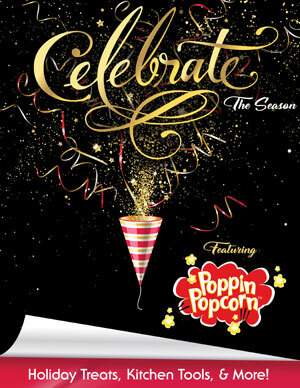 This sixteen-page brochure features our delicious one (1) gallon party-size popcorn bags and half (1/2) gallon family-size popcorn bags, as well as our top selling gourmet candies, gourmet chocolates, soups, and party snacks. You’ll find a wide variety of kitchen utensils and organizers to help you prepare for the perfect party. Also, don’t forget to check out our flower seed kits to make your home exterior come alive this spring!